What is a beauty bar? 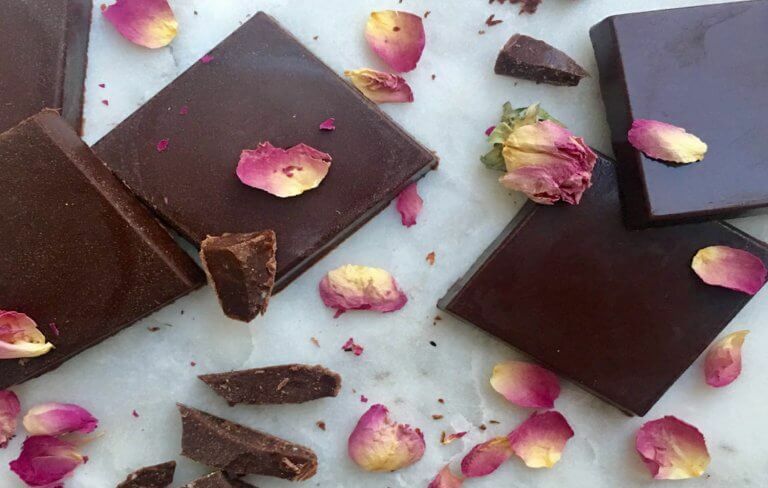 It’s a sugar-free, 83% raw cacao chocolate made for women by a woman. A chocolate bar that relieves stress, fights fatigue and balances hormones all while giving your skin that natural spa glow. Made with Super-foods & Adaptogens to take your wellness to a whole new level. 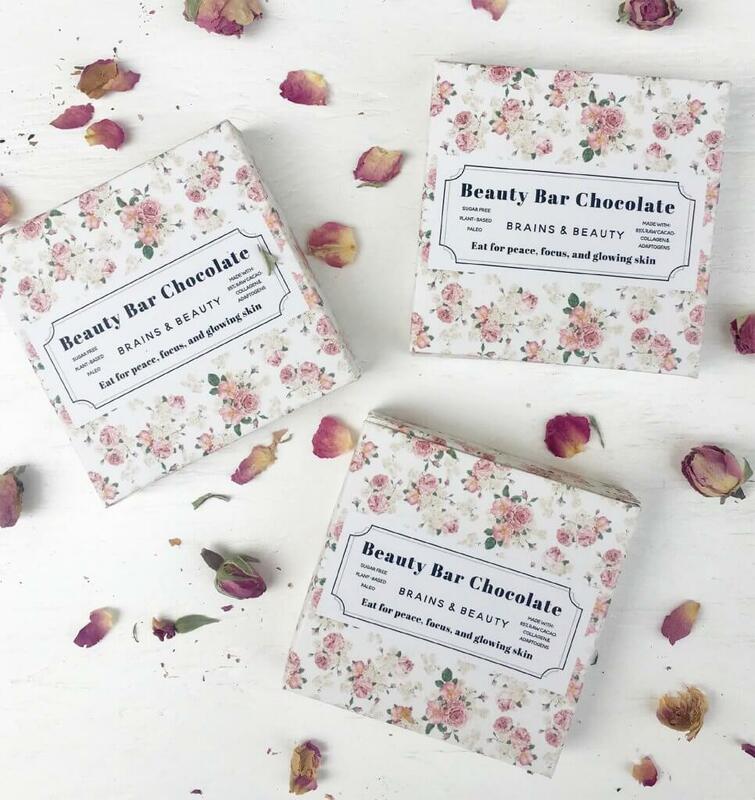 I designed Beauty Bars after leaving a 19 year career in the fashion industry. I suffered from major burn-out and developed adrenal fatigue, candida, inflammation, thyroid issues and anxiety. It wasn’t until I shifted my lens to focus on beauty from the inside out that I began to heal. Some of the major healers in my life became the release of sugar from my diet, the addition of adaptogens and the embrace of collagen. I’ve always loved chocolate so when I began my quest for the perfect sugar-free bar and couldn’t find what I was looking for, I entered my lab (AKA my kitchen) and created my dream Beauty Bar instead. I’m so excited to share my passion with women who want to feel their best, glow from the inside out and enjoy the euphoric effect of delicious, real (and healthy) chocolate! 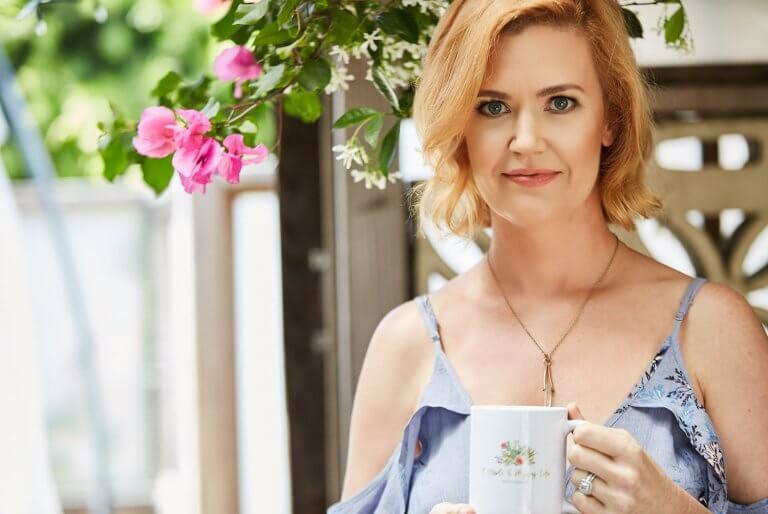 I am a certified Holistic Health Coach through The Institute for Integrative Nutrition and a Plant-Based Chef who graduated from Matthew Kenney/ Plant Lab culinary school in Venice Beach, CA. Do you find yourself dragging even after a good night’s sleep? Are your thoughts scattered and you often feel anxious? Do you have a sweet tooth? You may be living life dependent on caffeine and sugar to get you through the day and even though you want to feel better you’re not sure how. Feeding your body with too much sugar dehydrates and ages your skin which makes your body acidic and can attract disease. Drinking caffeine when you are in a state of stress or fatigue can wreak havoc on your adrenal system and cause your body to go into fight or flight mode. This is when you wind up with dark circles under the eyes, premature aging, anxiety and eventually even autoimmune diseases. Life is stressful emotionally and physically and adaptogens help support your body in times of stress. They help heal the adrenal system and regulate hormones while filling you up with peaceful energy and focus. When we hit our mid 20’s, collagen production starts to decline and the aging process begins. By adding collagen to your diet in delicious ways, you promote strong nails, healthy hair and glowing skin. These nutritionally dense foods work to slow the aging process so you can be glowing and beautiful. Lakanto Monkfruit– Monkfruit is a small round fruit that is grown in Southeast Asia. Lakanto uses high-purity monk fruit extract and Non-GMO Erythritol. It is zero glycemic, sweeter than sugar and contains zero calories. Beauty Bars are: Non-GMO, Sugar-free, Dairy Free, Vegan, Paleo, AIP, Gluten-Free and Keto friendly. ENJOY 3 SQUAREs A DAY FOR A WHOLE & HAPPY LIFE! Beauty Bars are: Non-GMO, Sugar-free, Dairy Free, Paleo, AIP, Gluten-Free, Candida and Keto friendly. 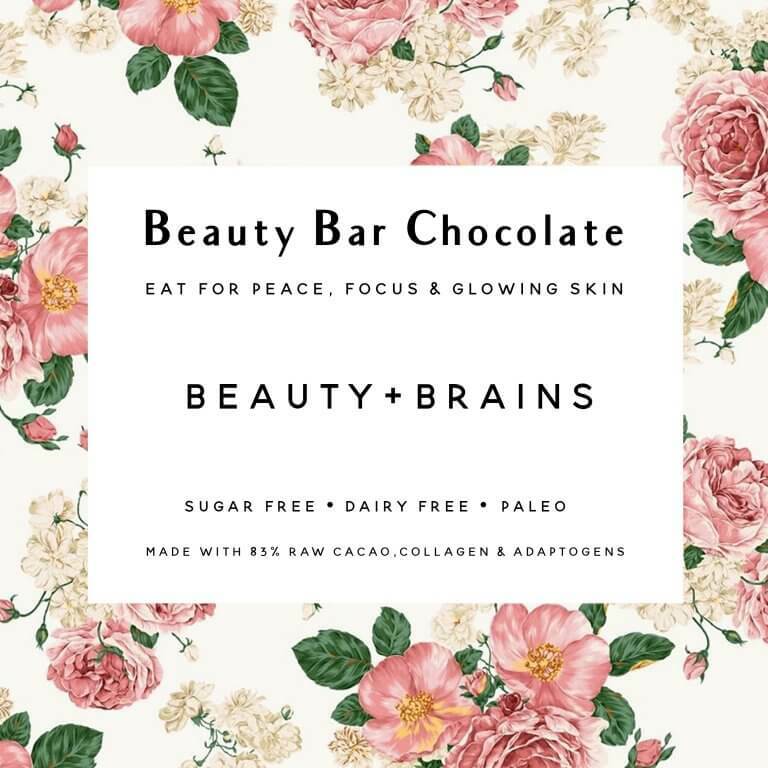 Beauty Bar chocolate will give you all the Brains & Beauty to get through your day! By eating a square a day you feel peace, focus, and have glowing skin! Its: 83% Raw Cacao, Non-GMO, Sugar-free, Dairy-Free, Vegan, Paleo, AIP, Gluten-Free and Keto friendly. 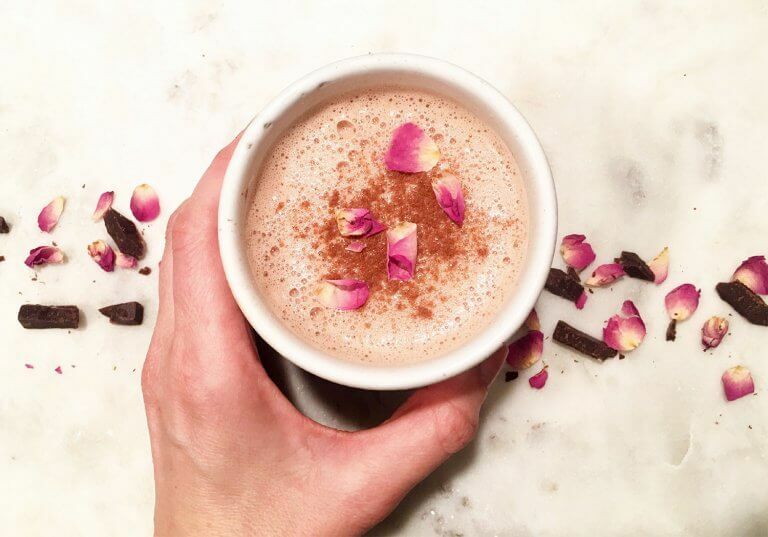 In place of drinking coffee, make a cacao latte. This latte will bring you focus and happiness. Add to a sauce pan and whisk it. Blend it to make it creamier. Visit me for wellness tips and recipes @awholeandhappylife.com.